Our comfortable dental office and friendly staff will put your child at ease during their dental visit. Preventive & Restorative Dental Care For Kids. At Charlotte Progressive Dentistry, we’re passionate about educating children on the importance of good oral health habits. We understand that most children are afraid to go to the dentist, which is why we do everything we can to ensure your little ones are relaxed and comfortable during their dental appointment. From preventative dental care to restorative dental treatments, we’ll monitor your child’s oral health to reduce orthodontic and dental costs in the future. The American Dental Association and the American Academy of Pediatric Dentistry say that the first dental visit should occur within six months after the baby’s first tooth appears, and no later than the baby’s first birthday. Our Charlotte dentists can show you how to brush your baby’s teeth, discuss diet, oral products, tooth development, and fluoride recommendations. Give your child the best dental services with us! We understand that our patients lead busy lifestyles and convenient dental care makes it easier to fit the necessary treatment into your schedule. That is why we proudly welcome all your family members to our office for treatment, even the littlest members of your family! 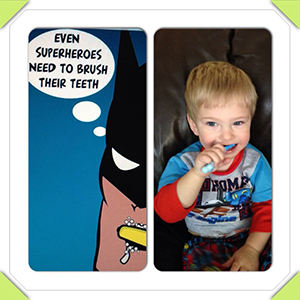 We encourage you to bring your children to our office for their dental care. Our experience and patience will make your child’s necessary dentistry a positive experience. Dr. Junco and Dr. Camp are proud parents themselves, and understand that children have different needs than adults. We enjoy working with children and make them a priority in our dental office. When we can establish a solid foundation for good oral health early on, we can help prevent common dental conditions in the future. From your child’s very first visit, we will focus on prevention. By monitoring their oral health through routine dental exams, x-rays, and professional dental cleanings, we can help them avoid the most common conditions such as decay and gum disease in the future. We speak to your little ones in terms they understand so that their dental care is a positive experience for them. Most kids really love coming to our office! We make their treatment fun and interactive, working with them on education and home care techniques so that they feel they can play an active part in their own dentistry. Many children will require a filling or other dental restoration at some point while they are young. When we work with kids, we avoid scary terms like “needle,” “hurt,” and “drill.” Instead, we explain their treatment in a non-threatening way that allows them to relax. We always treat your child gently – the same way we would want our own children to be treated! Dr. Junco has furthered her education on this subject by taking Rondeau Seminars on orthodontics. She has learned that sometimes braces can be avoided if we diagnose jaw deficiencies early enough and treat them without the need of jaw surgery. She also learned about the correlation between allergies and enlarged tonsils in children and the malposition of their adult teeth and jaws as they grow. As part of our dental exam, we will be monitoring enlarged tonsils and jaw deficiencies. As your child’s teeth and jaw mature, we will recommend orthodontics or other treatment that can help achieve the highest level of health. Early intervention can reduce orthodontic costs and treatment time in the future. 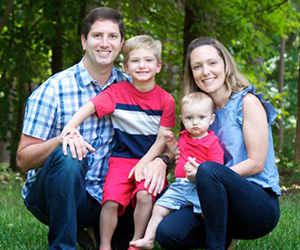 Because Dr. Gregory Camp and Dr. Susana Junco work together in our Charlotte dental office, we can often schedule family members simultaneously. This helps our busy families have the dental care they need without putting a strain on their schedules. We look forward to helping your entire family achieve outstanding oral health!